Chelsea are hopeful they can persuade Callum Hudson-Odoi to sign a contract extension before the start of next season. The 18-year-old winger has refused to sign a new contract and even demanded a transfer last month, as Bayern Munich so four separate bids rejected. And Bayern have insisted they won’t be giving up on landing Hudson-Odoi – whose contract expires next year. “To lay down a marker costs money. We want the best quality players here at Bayern and Hasan is absolutely convinced of that player,” Bayern chief executive Karl-Heinz Rummenige said. 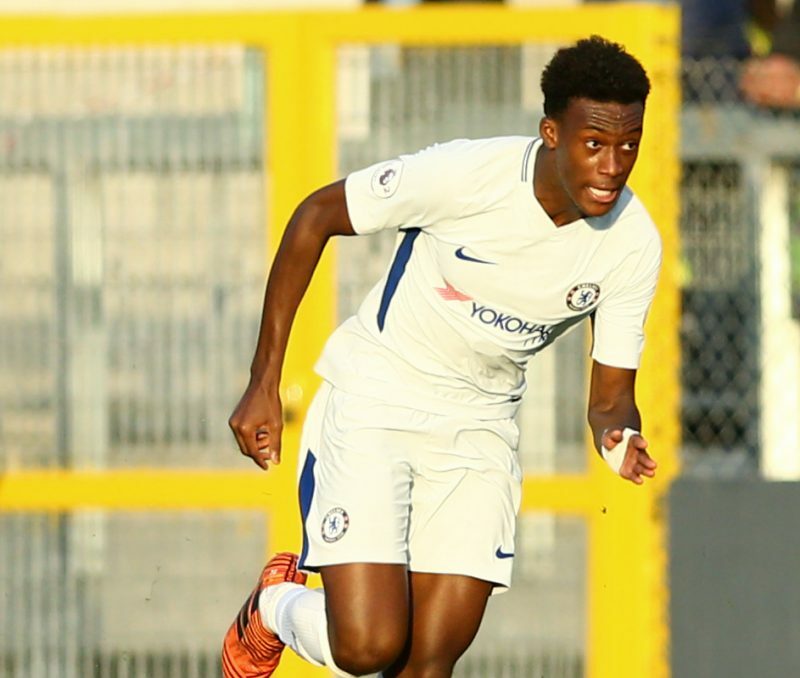 But we understand that Chelsea are not ready to give up on Hudson-Odoi – despite his insistence he wants to leave. Bookmakers make Bayern firm favourites to land Hudson-Odoi before end of the summer transfer window, with BetVictor listing them at 4/1. BetVictor’s Head of ante post Football Michael Triffitt commented: “Chelsea were able to fight off interest from Bayern Munich in the January window and keep hold of Callum Hudson Odoi but the German champions seem determined to renew their interest this summer. “The Chelsea board certainly feel that the youngster has a long term future at Stamford bridge and made a great effort to keep him in the capital. However current manager Maurizio Sarri has appeared reluctant to give the player a good run in the team and it’s easy to see why he has become frustrated and was hoping to make a move to Germany. “Whether a move abroad resurfaces during the summer will of course depend on the impact the player makes with Chelsea for the remainder of the campaign and it will be fascinating to see how things develop. BetVictor offer 4/1 the player is wearing a Bayern shirt at the start of next season and the next few months will determine whether that proves tasty. Odds accurate; 04/02/2019 12:00 am.